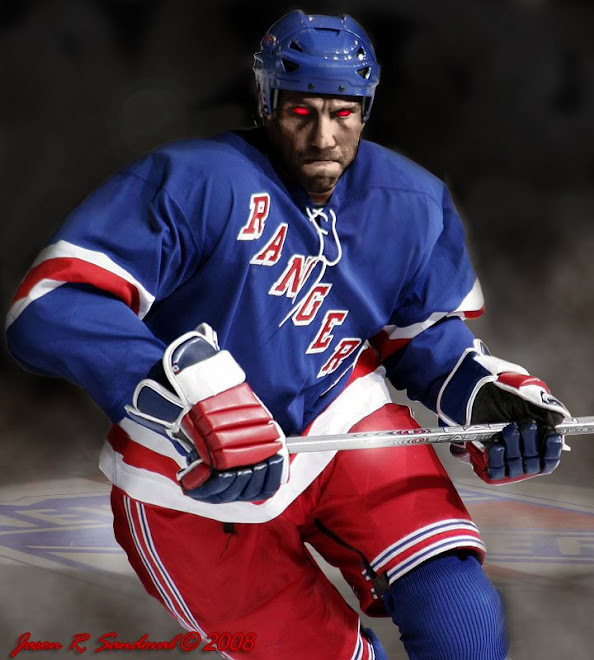 Tune in tonight as the 2-3-0 New York Rangers play the 0-6-0 Atlanta Thrashers at 7PM EST. Will someone 'take-out' or bench this guy for Christ's sake? The more I look at that picture, the more it looks like a twisted version of Oliver Twist--with Malik playing the role Oliver. I think that the dark character is pissed at Malik/Oliver for turning over the porridge on the ice and having the entire orphanage endure the ensuing mess. A familiar story in any century. P.S. Is the dark character actually tdr himself? You have exposed me HH! That is indeed The Dark Ranger with blood on my hands. You can even call me Dark Fagan if you'd like. Ah, the classics! It's a good thing that we're such good blogging buddies or I might be a bit apprehensive about meeting The Dark Ranger in a Dark Alley. The blood reminds me of the scene in Monty Python and the Holy Grail, when King Arthur cuts off the arms and legs of the Black Night. Actually, that might be a good scene for you to re-create. It's hard to judge which Ranger player, coach or executive should play the Black Night. 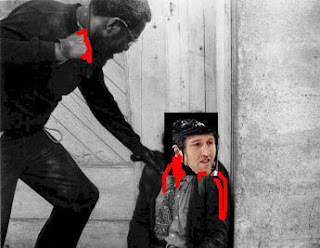 After the Thrashers trashed us, my vote for the game points to Poch--as it did in my post. "Black Night" should have been "Black Knight"